Helical plasma streamers in the laboratory. Credit: Terry Fritz. Plasma is often described as the fourth state of matter. Since it makes up more than 99% of the Universe, it should be reckoned the first state. As has been proposed in previous articles, the Sun is an example of plasma and its normal behavior. Although the general premise is probably thousands of years old—that Earth is somehow an electrical entity—it has only been in the last 100 years that scientists have given serious credence to the possibility that we could be living in a dynamic Solar System where electricity plays an important role. The Sun's electric field extends for billions of kilometers, influencing the planets in their motions, as well as how they interact with each other. In September of 2002, a major premise of Electric Universe theory was confirmed: weather systems on Earth are electrically connected to the field of charged particles called the ionosphere. Dual bands of plasma shining in ultraviolet light were detected by the IMAGE satellite. The plasma streams are circling the Earth in opposite directions along the equator, carrying positive and negative electric charges. Since plasma is a charged substance, if it is in motion it will generate an electric current. 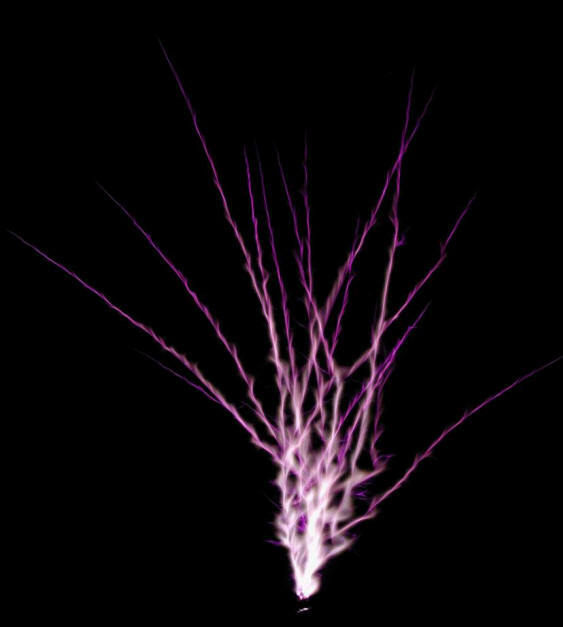 An electric current flowing through plasma creates a tube-like magnetic sheath that "squeezes" the current to form one or more filaments . If enough current passes through the circuit, the plasma current filaments will glow, sometimes creating one or more "double layers" of charge separation along the current axis. Double layers form when a current flows in plasma and positive and negative charges build up in adjacent regions along the current flow. A powerful electric field appears between the two regions, which accelerates charged particles. Hannes Alfvén considered double layers an important cosmic circuit element. Plasma bands in the ionosphere emitting ultraviolet light. Credit: NASA/University of California, Berkeley. Another example of the Sun's intimate association with Earth are the polar aurorae. The curtains of blue, green, and red that hang down from the sky like wind-wavering veils of color have both puzzled and entranced observers for countless millennia. In 1621, Pierre Gassendi called the shimmering lights seen in the Arctic the Aurora Borealis after Aurora, the Roman goddess of dawn, and Boreas, the Greek name for the north wind. In the south polar region the same phenomenon appears and is known as Aurora Australis, literally "Southern Dawn" in Latin, or more conventionally, "Southern Lights". Solar ions follow Earth's magnetic field down into the poles, causing atmospheric molecules to emit light: red from oxygen at high altitudes, then green from oxygen lower down, along with blue from nitrogen. The electric charges travel down magnetic flux tubes that have recently been discovered. These "electromagnetic funnels" are several kilometers wide and allow electric currents to flow directly from the Sun into the polar regions, generating colorful visible light, radio waves, and X-rays. The power generated by electric currents in auroral storms is far greater than anything that human beings can create with every coal-burning, oil-fired, or water-driven means combined. These currents are composed of widely separated, low density charged particles and are called Birkeland currents. Despite the low current density, the volume of charge is so great that the current flow can exceed one million Amperes. Recently, the Time History of Events and Macroscale Interactions during Substorms (THEMIS) satellites detected "space tornadoes", vortices of electrified plasma rotating faster than 1,600,000 kilometers per hour. These helical storms of electromagnetic energy were found approximately 64,000 kilometers from Earth. The five THEMIS satellites, together with Earth-based stations, verified their connection with the ionosphere. Aurora Australis over the Bellingshausen Sea. Electromagnetic vortices flowing into Earth's poles. Credit: Andreas Keiling/UC Berkeley. Laboratory simulation of solar plasma flux tubes. Time index 0 - 1.4 microseconds. To view a movie of the electrically active solar wind particles interacting with Earth's plasmasphere click here.